It is certainly true that Bricktown is a top spot for entertainment and restaurants in Oklahoma City. In addition, there are several popular malls including Quail Springs even further north near Edmond. Still, the district along Northwest Expressway remains one of the most popular in the city for shopping, entertainment, and dining out. It stretches a significant area that includes the Penn Square region and moves west all the way beyond Lake Hefner. On the east side where Northwest Expressway connects with I-44 are Penn Square Mall, arguably the most elegant of malls in OKC, and 50 Penn Place, one of the premier shopping centers. Restaurants stretch the length of the thoroughfare. Overall, the area is primarily commercial, but there's still a population of residents, estimated around 30,000, living in homes and apartment buildings along and near the expressway. Also located in northwest Oklahoma City are numerous shopping centers and big-box retailers, INTEGRIS Baptist Medical Center, INTEGRIS Deaconess, and the unique Founders Tower building. On the far northwest end, you'll find multiple car dealerships as well. The Northwest Expressway commercial district begins around NW 50th Street and runs northwest, intersecting with Lake Hefner Parkway, traveling diagonally through the suburb of Warr Acres, and continuing to beyond Council Road. Often congested and not particularly favorable to pedestrians, the six-lane Northwest Expressway is designated Oklahoma State Highway 3. The bulk of the houses just north or south of Northwest Expressway in this neighborhood were built between 1950–1970, and the median household income is around $32,000 per year with home values primarily in the $60,000 to $100,000 range. The area north of the expressway tends to be more affluent. In this area, you'll find zip codes 73112 (South of the expressway) and 73116 (North of the expressway). The very popular Penn Square Mall. Upscale shopping at 50 Penn Place. 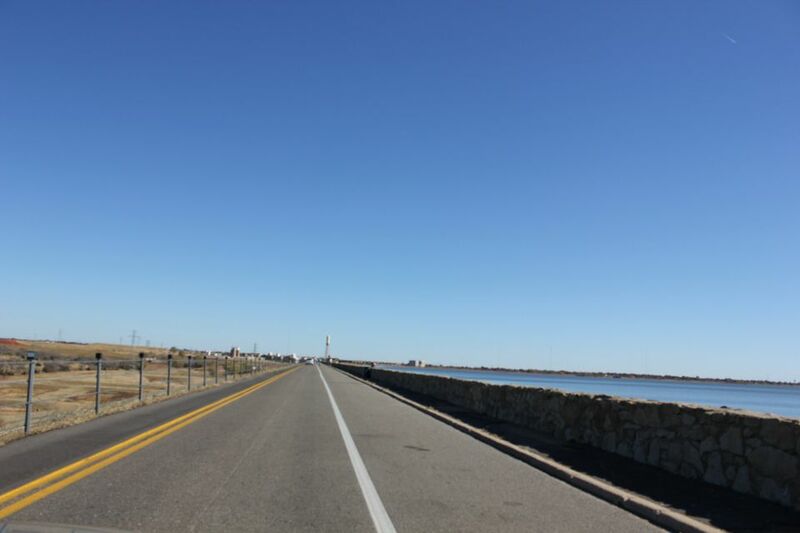 Parks, golf, trails, and more at Lake Hefner. The Looney Bin Comedy Club. Incredible pizza and Chuck E. Cheese's as well as other top attractions for kids.